Main board-listed Golden Land Berhad made a meaningful mark on the property landscape last weekend with the launch of its maiden project, Golden Gateway, a RM155 million medium industrial development that is taking a perceptive approach on the rapidly developing landscape in the Batu Kawan district of mainland Penang. 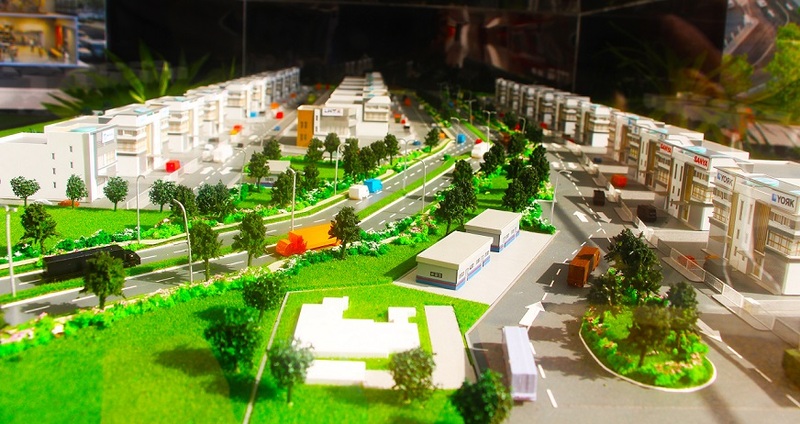 Taking shape on 21 acres of freehold land along Jalan Perusahaan Valdor at the south-eastern periphery of the township, the project is strategically located close to the vibrant hot spot of Batu Kawan Industrial Park. 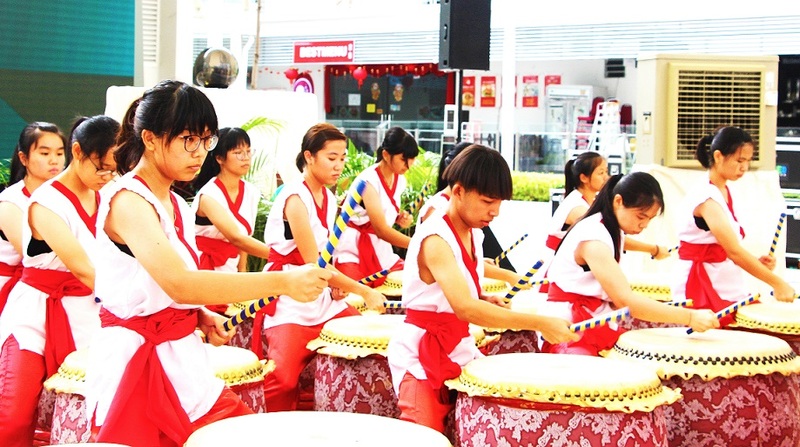 It also enjoys advantageous proximity to Penang Island via the Penang Second Bridge. The 4-in-1 design concept is an innovative solution that that addresses a flexible range of business needs. Central to its appeal, however, is Golden Gateway’s multi-functional design, which offers a retail-style frontage, a well-manicured corporate ambience and a unique 4-in-1 business model that is designed to provide a seamless solution for modern, traditional and e-business needs, complementing the fast-changing environment. Batu Kawan has received much attention as an industrial hotpot in the north of the country over the past few years. Now, rapid commercial growth, a population influx and the promise of regional leisure attractions has brought an expanded vision for the flourishing township, which has seen an influx of malls, residential projects, universities, hospitals, resorts, many new mixed development concepts and theme parks. Invited guests witnessing the launch and enjoying New Year entertainment. In this context, Chief Operating Officer of Golden Land Property Division Mr. Ng Heng Phai said that Golden Gateway is both a timely and necessary addition to this exciting landscape. 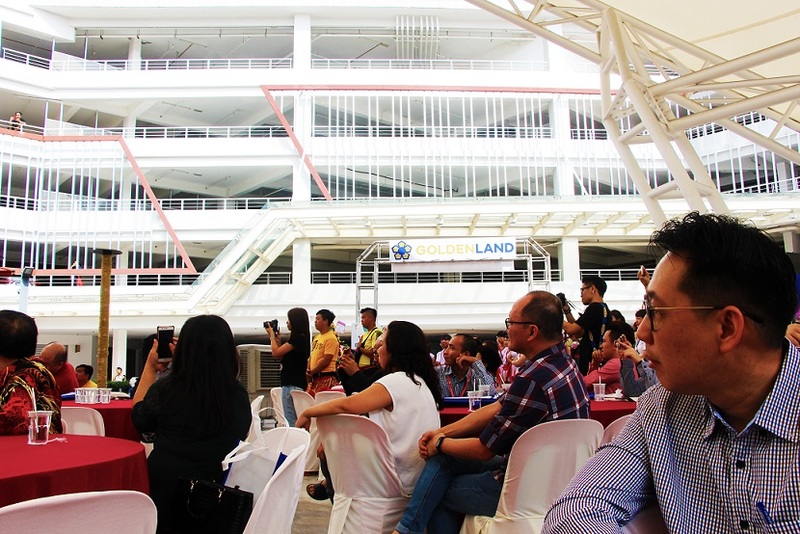 “The 4-in-1 design concept is an innovative solution that that addresses a flexible range of business needs, which is very much in line with the modern commercial enrichment of the area,” he said. Ng explained that there is rising need for support services such as a processing centre, warehousing, local logistics hub, maintenance, and other related services in light of rapid development in surrounding areas. However, in designing Golden Gateway, the company ensured it was also sensitive to the expanding needs of the community as well as industrial businesses, which has become multifaceted and more directly linked to consumers as a result of the expanding impact of online technology. The 4-in-1 business concept accommodates production activity with column-free triple-volume space to cater to production and processing needs, as well as provides sufficient warehouse storage space for logistics and inventory requirements. Units can also accommodate showrooms with ample display space and large glass windows to ensure products are highly-visible from the exterior, while a dedicated office space creates a proper and comfortable working ambience. 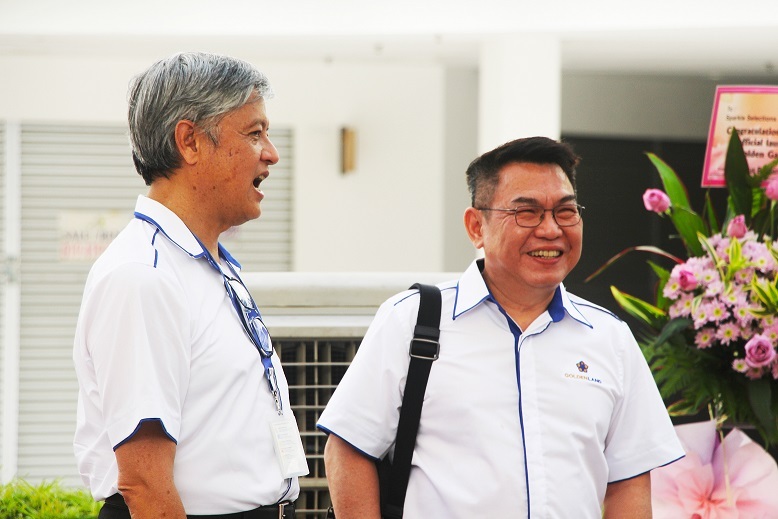 From Left: Golden Land COO Ng Heng Phai with Chief Executive Officer Yap Phing Cern. In addition, the broadband-ready units appeal to a new generation of businesses which market products directly to customers via online platforms but require a corporate frontage, ample storage space and facilities that service packaging and distribution needs. Ng said these elements serve four important purposes: Supply, Store, Show and Sell. “In terms of visibility, every unit will enjoy a commercially attractive façade, with direct visibility from the main road and convenient immediate accessibility,” he added. Up for grabs are 52 Semi-D industrial plots and 2 detached industrial plots that benefit from being surrounded by a landscape of established heavy industrial factories. The Semi-D units come in built-up sizes that range between 5,500sq ft and 7,000sq ft, with land area of 8,800sq ft to 14,000 sqft. With only two plots of detached available, these are sized at 5,800sq ft and 8,000sq ft, and come in land areas of 12,300sq ft and 17,900sq ft. Priced from RM2.8 million onwards, each unit also comes rich with features that reflect Golden Land’s commitment to functional and practical designs. This includes a 5.1m high clearance for the front entrance; efficient and effective spatial planning with column-free design to suit multiple uses; generous triple volume ceiling height to cater to storage and machinery purpose; reinforced floor loading up to 0.75 tonnes/7.5kN per sqm to satisfy light and medium industry needs; sufficient power of 150amp to effectively support production processes; and broadband readiness for modern competitive businesses. Ng said the company also engaged competent geotechnical consultants and engineers to ensure quality of the building structure and reinforcements applied went beyond the typical requirements for construction of this type. “Considerable attention was applied to the details of this project, the design of the units, the streetscaping, the 4-in-1 concept and the choice of location. This is because we are committed to creating a product that speaks of long-term value and relevance for buyers, as well as one that represents an attractive business proposition for those who will operate here,” said Ng. 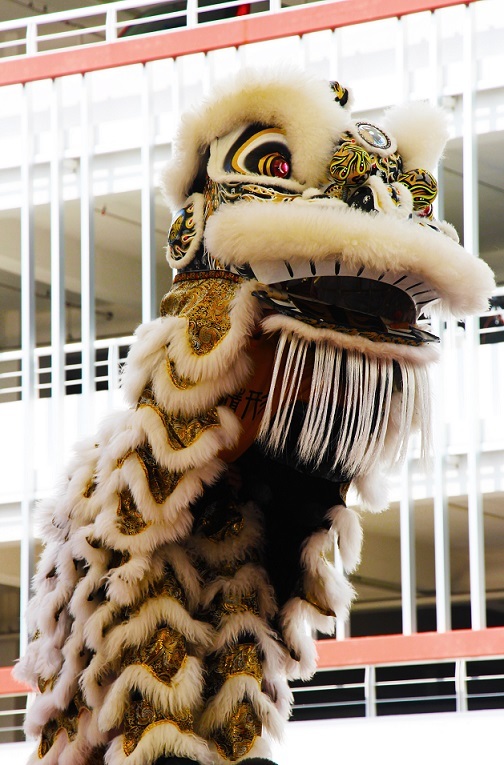 An acrobatic Lion Dance performance to usher in a New Year. He added that at Golden Land, “the details matter” because this is very much in line its “CARE” ethos, which drives the vision and direction of all its development endeavours. The abbreviated “C.A.R.E” is part of the company’s core values, which expands to mean: Committed to quality and services, Attentive to details, Reliable to the community, Engaging to everyone. Buyers have already responded positively to this approach as the project rapidly registered more than 40% in pre-sale bookings in the lead up to the launch. Currently, earthworks on site have already commenced and the project is expected to be fully-completed by early 2020. 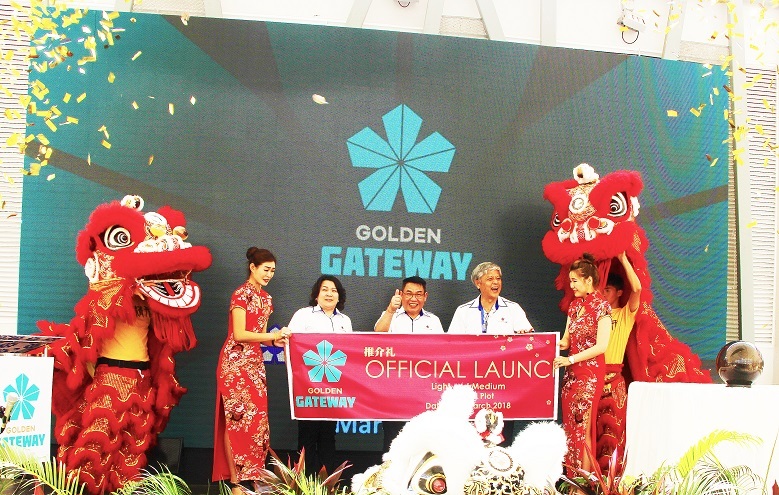 Ng said that Golden Gateway is the first of two projects Golden Land will be rolling out this year, with a combined estimated GDV of RM400 million. Up next is a residential project located in the Klang Valley with units priced from about RM500,000 which will be unveiled soon.